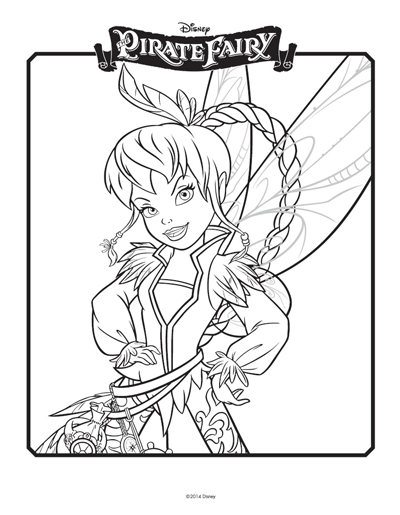 Tinkerbell coloring pages: Celebrate the Tinkerbell and the Pirate Fairy film with a picture! Tinkerbell is a wondeful little character from the Peter Pan tales and Disney have created an amazing set of spin offs with the loveable wee fairy. 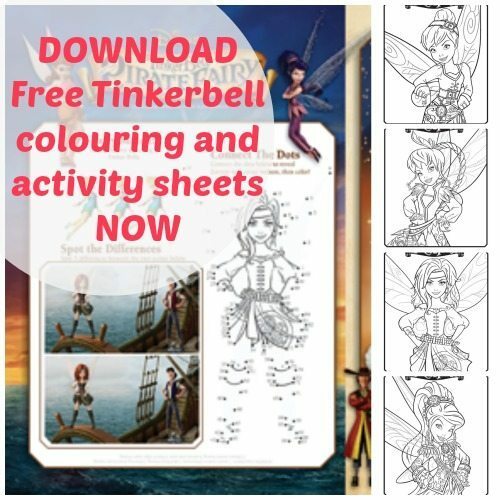 The story that we are celebrating with the release of these Tinkerbell coloring sheets starts when the dust-keeper fairy, Zarina, naughtily steal Pixie Hollow’s blue pixie dust and then flies off to join with the pirates of Skull Rock. Tinkerbell must get it back, but along the way her and her friends powers have all been switched around, making it an even more difficult task that she first thought! Christina Hendricks is Zarina, with Tom Hiddleston as the cabin boy James. Mae Whitman returns to reprise her role as Tinker Bell. 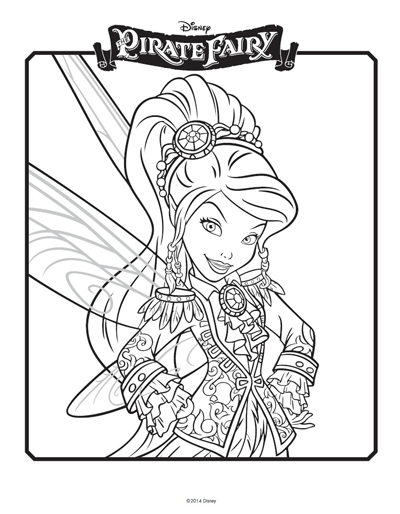 Click on me to get a pdf to colour in!